“India needs to create more job creators rather than job seekers. 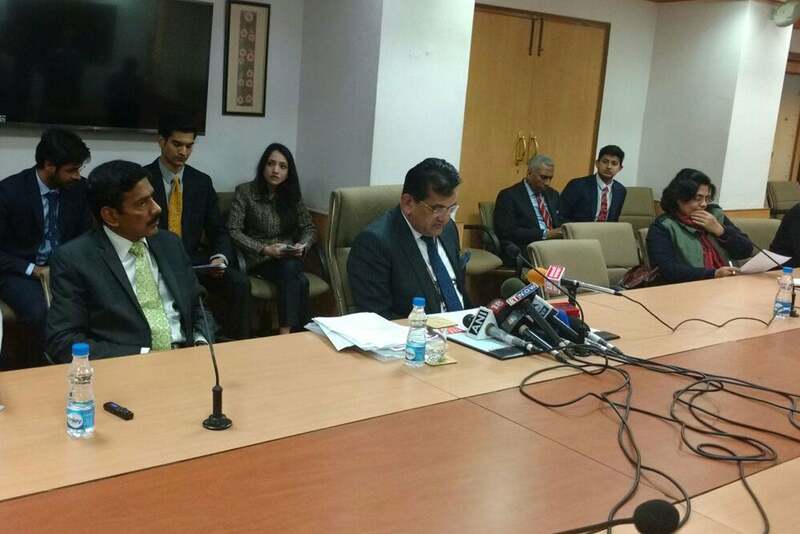 And towards the same, Prime Minister Narendra Modi will be sharing an action plan where the government will keep itself away from the startup ecosystem and add more meaning to the industry,” said Amitabh Kant , Secretary, Department of Industrial Policy and Promotion (DIPP). With the aim to celebrate entrepreneurial spirit of India’s youth, the Government of India (GoI) is launching ‘Startup India’ movement on January 16, 2016 in New Delhi. It will be organized by DIPP. The event will be inaugurated by Arun Jaitley, Union Minister of Finance and Corporate Affairs, GoI. Furthermore, the event will witness the interactive talks with global leaders and VCs like Masayoshi Son, Founder and CEO, SoftBank; Travis Kalanick, Founder, Uber, and Adam Neumann, Founder, WeWork. Starting and emerging entrepreneurs can have these five takeaways by being a part of 'Startup India' on January 16. Startup India event seems to provide great platform for the startup brigade to meet global leaders. The launch will witness the gathering of 40 CEOs of leading companies along with over 1,500 tops startups, 2,000 VCs and Angels from Silicon Valley. Leading the pack will be VCs and Entrepreneurs like Masayoshi Son, Founder and CEO, SoftBank; Travis Kalanick, Founder, Uber, and Adam Nuemann, Founder, WeWork will also take place. The event will be a non-stop day-long global workshop on startup entrepreneurship and shall include panel discussions that will be chaired by Minister of State for Finance Jayant Sinha. A question and answer (Q&A) session titled: Face-to-face with Policymakers, is also being organized where the secretaries of key government ministries and departments like Department of Revenue, Department of Human Resources and Development, Department of Corporate Affairs, Department of Financial Services, Department of Economic Affairs, Department of Science and Technology, Department of Biotechnology, Department of Electronics and Information Technology, Department of Micro, Small and Medium Enterprises and Department of Skill Development will discuss ways to enable ecosystem for startups. It is a great opportunity for the startups to pitch their business ideas to VCs like Google. It is being said that Google will be conducting an innovative session titled “Launchpad Accelerator,” which will involve live pitches being made by early stage startups to potential investors. Nikesh Arora, President & Chief Operating Officer, SoftBank, shall be interacting with participants on aspects relating to startup funding. The event will not only allow you to grow your business or pitch your business ideas to VCs, it will also enrich your knowledge and allow you to learn more interesting facts about how to grow your business strong. You can gain knowledge through panel discussions on topics like Unleashing Entrepreneurship and Innovation: What do Indian Startups Need to Grow and Prosper, Celebrating Women: Stories of Innovative Women Entrepreneurs, How Digitization Will Change India’s Future, Making Indian Healthcare Leapfrog; Financial Inclusion is Within Reach, and Show Me the Money: How Do We Capitalize Entrepreneurship? The hight light of the day is the presence of Narendra Modi in the evening session who will formally launch the initiative and unveil the startup action plan. The plan will highlight initiatives and schemes being undertaken by the government to address various aspects of startup ecosystem in the country.